The earthquake monitoring service GeoNet reported a “moderate” earthquake early yesterday afternoon just south of the Snares Islands at the southern base of New Zealand. The earthquake of magnitude 5.8 had its epicentre 85 kilometres west of Snares Islands which, in the past has been prone to significant earthquakes. This event occurred at 12.24 pm and was at a depth of 12 kilometres. 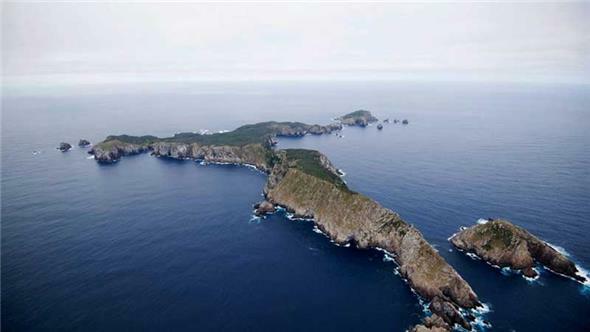 The New Zealand Herald reported that this quake, recorded south of Stewart Island, was felt as far north as Auckland. The Southland Times said this earthquake was in in the Puysegur subduction zone, which runs south-west from the end of the Alpine Fault offshore of Fiordland and is where the Australian Plate is dipping below the Pacific Plate. GNS Science duty seismologist Dr Jonathan Hanson told the Southland Times the quake was located initially as south-east of Roxburgh in Central Otago. GeoNet reported it as of magnitude 4.3, and that was upgraded to 4.7 and then to magnitude 5.8 on being relocated. Hanson said yesterday’s quake occurred in a fairly active patch of the subduction zone. The Snares Islands. Photo: Department of Conservation.